DEW is currently online only and does not have will call available at this time. The address above is a mailing address only. Online: Our online shopping cart is available to you 24 hours a day. Ordering online is a secure and fast way to order. 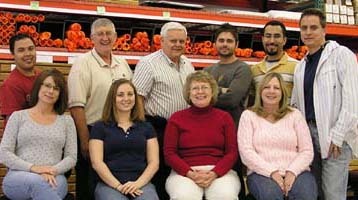 Phone: Our friendly and knowledgeable sales staff is also available to take your order. Please call us toll free 1-877-933-7238. We are currently available to assist you from 7:00am - 4:00pm M - Th and 7:00am to noon on Fridays (Arizona does not observe daylight savings). By Mail: Please fill out this form. Mail this form along with payment to us. Arizona state and Gilbert sales tax of 7.8% total applies to orders sold or shipped to Arizona customers only. We do not have jurisdictional position to collect sales tax for any other state of the Union. You acknowledge by your purchase your moral and ethical responsibility to declare this internet purchase to your state and pay appropriate taxes. For immediate shipping we accept Visa, MasterCard, American Express, Discover, and PayPal. Orders using business checks or personal checks will be shipped when the check clears. Please make all checks payable to Drafting Equipment Warehouse. There will be a $25.00 charge for all returned checks. Other certified funds are also acceptable. We reserve the right to determine the method of payment. We currently accept purchase orders from Government Agencies, The Military, and Public Institutions. Purchase orders must be signed, bona fide documents that specify both a shipping and billing address; the preferred shipping method; and all relevant costs, including product prices, shipping and handling, and taxes (if applicable). Requisitions, letters, faxes, or memoranda referencing a purchase order number will not be accepted. To place an order by purchase order we must receive the purchase order by fax, email or postal mail. The minimum purchase order amount we accept is $500. Every order that is placed will receive an Order Number or Order ID. This number will also be your receipt number and will be shown on your email confirmation. Please use this number when communicating about your order. Shipping charges will appear during checkout. You will be given shipping charges and options before you are asked for your credit card and payment information. All orders are subject to a shipping and handling charge. We ship via Federal Express, UPS, US Mail, and many common carrier freight lines. It is our option to fill orders from our stock or drop ship the order directly from the manufacturer/distributor. Manufacturers/distributors may require lead times for manufacturing and/or handling. Any delivery times quoted by phone, fax, email or on the website are estimates. Longer ship times are normally encountered in coast to coast deliveries. Small Parcel - We will ship smaller, lighter items via UPS, FEDEX, or US Postal Service. Depending on how close you are to the shipping warehouse, your item will arrive between 1 and 6 business days (1 to 10 business days for USPS) after it leaves the warehouse. Dock-to-Dock Truck Delivery - Many items on our website are too large or heavy to ship via UPS/FedEx, so they are shipped via Dock-to-Dock Truck Delivery. Dock-to-Dock Truck Delivery is different than standard UPS, FedEx, or US Postal. For residential deliveries as soon as your shipment arrives at the local terminal, the trucking company will call you to set up a 2- to 4-hour appointment for delivery. Most truck delivery companies offer appointment windows between 8:00 A.M. and 5:00 P.M., Monday through Friday. A Dock-to-Dock delivery means your items will be delivered to the driveway or curb outside of your address. It's "Dock-to-Dock" because you'll need to move the package off of the truck yourself. You may want an additional person on hand for help. Unless you have specifically contracted for a Lift Gate and / or Inside Delivery, the truck driver is only responsible for moving your merchandise to the tailgate (the end) of their truck. They are not responsible for unloading your merchandise. Many drivers will gladly help you unload your freight, and some may even help you get the items inside, but they are not obligated to. There is an extra charge for a Lift Gate and/or Inside Delivery. You may be able to contract these services at the time of delivery, however these extra services will be billed to you. Lift Gate - For an additional $75, the truck driver will use a machine called a lift gate to bring the items to the ground for you. Lift Gate & Inside Delivery - The merchandise will be brought right inside the front door for a lobby delivery. Stairs and Installation are NOT INCLUDED. Pricing varies, please call for more details. White Glove Delivery: Assembly and Installation - This special shipping service is available on select products. Products with this service available will have a special note on the product page. Prices vary depending on the product. **APPLIES ONLY TO FREIGHT / COMMON CARRIER DELIVERIES * Does not apply to UPS and FedEx Deliveries Please view this document, How to Receive Your Shipment, as a PDF file, print it out and refer to it when your freight arrives. Please show these instructions to anyone else who may be receiving your freight shipment. Unless you have specifically contracted for a Lift Gate and / or Inside Delivery, the truck driver is only responsible for moving your merchandise to the tailgate of their truck. They are not responsible for unloading your merchandise. Many drivers will gladly help you unload your freight, and some may even help you get the items inside, but they are not obligated to. There generally is an extra charge for a Lift Gate and/or Inside Delivery. You may be able to contract these services at the time of delivery, however these extra services will be billed to you. Lift Gate Delivery - Merchandise will be lowered off the back of the truck. Inside Delivery - Merchandise will be brought right inside the front door for a lobby delivery. Stairs and Installation are NOT INCLUDED. Inspect the cartons carefully for any kind of rips, tears, dents, crushed corners, wetness, or any other signs of possible damage. If you even sense that there is any kind of freight damage, OPEN THE CARTONS WHILE THE TRUCK DRIVER IS PRESENT AND INSPECT THE GOODS. If you see or feel that the merchandise is in good condition then sign the Bill of Lading. If you feel there is any kind of freight damage or are unable to open the cartons, but see that the cartons are not in perfect condition, note all visible details on the Bill of Lading and mark it 'Subject to Inspection' before signing it. We can not hold the trucking company responsible for damage unless you note all damage, or problems with the outer carton on the Bill of Lading. Merchandise ownership passes from the manufacturer to the customer when received by the freight carrier. Carrier responsibility is lost without the proper signing for goods. If your merchandise is damaged, you must KEEP THE OUTER CARTON (S) FOR INSPECTION. If you refuse any item that is not damaged, you will be subject to extra freight charges on that item. If you receive any damaged merchandise or are unsure whether to accept a damaged shipment please call DEW immediately Toll Free 1-877-933-7238. Claims for damaged merchandise must be made within 7 days of customer receipt. No claims for damaged merchandise will be honored after 7 days of customer receipt. Keep the outer carton for inspection. If you receive any damaged merchandise or are unsure whether to accept a damaged shipment please call DEW immediately Toll Free 1-877-933-7238. No claims for freight damaged merchandise will be honored after 7 days of customer receipt. If you receive a product that is defective please call us for a replacement. Unfortunately, we are unable to cancel any custom orders or any orders that have already shipped. These orders will be subject to the DEW Return Policy. Unauthorized returns will not be accepted. DEW must give prior authorization for any return before shipment. All returns must be made within 15 days from the date of original shipment and must be in New Condition in the Original Carton. We DO NOT accept returns on any electronic/precision equipment, 42" clamp bars, or any item that has been fully or partially assembled. We also DO NOT accept returns on any Custom products or items with Custom/Special Paint. Returns due to damage, defective product, or wrong item shipped will be handled by our customer service team for proper return, replacement, or disposal. All other returns will be subject to a 30% restocking fee and are to be shipped at the customer's expense in their original cartons and will be subject to inspection prior to credit. Returns must be in new condition for credit. All orders marked with "Free Shipping" will be subject to the 30% restocking fee and will not be refunded the actual initial shipping cost. Please call DEW for a Return Authorization as well as a correct return address. Return shipping can be arranged with the shipper of your choice. However, we do advise you to use a reliable shipper with a tracking system such as UPS or FedEx. If the shipment is lost or damaged in transit to DEW, you may follow up with the shipper to file a claim. Once the item (s) arrive at DEW, please allow 3 - 5 business days for your return to be reviewed and processed. Copyright © 1999 - 2016 DEW Office Furniture a division of Drafting Equipment Warehouse. We are not responsible for any typographical or other errors to this site. Prices are subject to change without notice, including limited time specials, manufacturer's price changes, or other reasons.